The model A2G-20 air velocity meter is used for measuring flow rates of gaseous media in ventilation and air-conditioning applications. 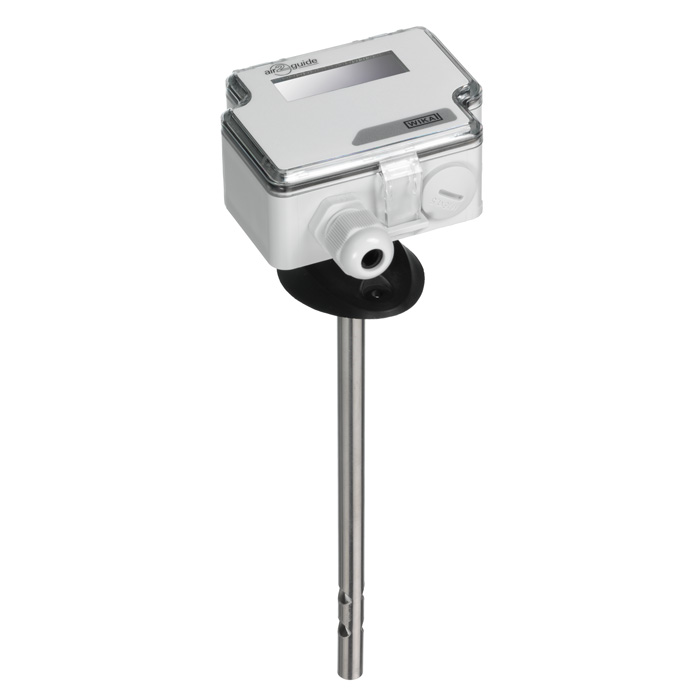 In addition, the A2G-20 features integrated temperature measurement. Electrical output signals for both measurands (DC 0 ... 10 V or 4 ... 20 mA; adjustable at the instrument via jumpers) enable the direct connection to control systems or the building automation system. An additional switching output (option) enables a flexible operation for controlling further components of a ventilation and air-conditioning system. The LC display (option) and the clear menu navigation enable a time-saving and simple commissioning.